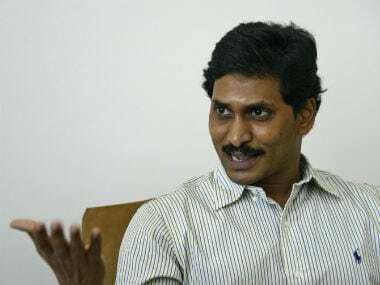 YSR Congress party president Jaganmohan Reddy sparked a controversy on Friday after he said that if Andhra Pradesh chief minister Chandrababu Naidu was to be shot in the middle of the road, there would be nothing wrong with it. 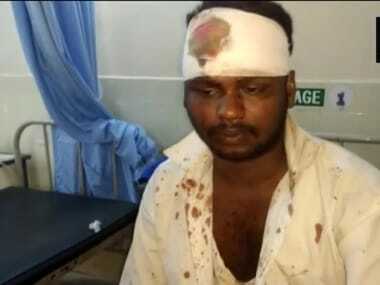 Reddy said so while attacking the Telugu Desam Party (TDP) leader for failing to fulfil his campaign promises. He called Naidu out for his “double standards” ahead of the Nandyal by-elections. “The chief minister is known for his duplicity, double-dealing and treachery. And now, he is coming before you to seek votes again. There is nothing wrong if people like Naidu are gunned down on streets in public glare,” Jagan said at a public gathering. “He is not a mukhyamantri (chief minister) but a mukhyakantri (chief looter),” he said during his tirade against Naidu. Reddy's inflammatory remarks did not go well with the ruling party in Andhra Pradesh. TDP leader Mallela Rajshekhar has filed a police complaint against Reddy. Rajshekhar told News18 that Jagan made the contentious remarks since he is scared of losing. "It's not right to say shoot (the) chief minister on the road. Nandyal is a very sensitive place and clashes can happen. So, I have filed a complaint to (the) SP so that he takes action," he added. 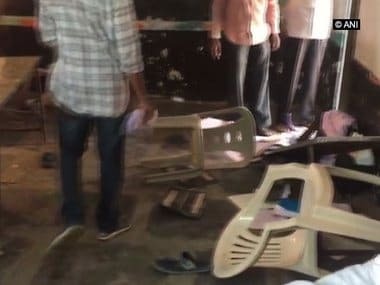 Many other TDP leaders also reacted to the controversial remarks made by Reddy, and reports state that TDP workers even burned effigies of the YSR Congress chief. According to Hindustan Times, Reddy made these comments while addressing an election meet at SPG Grounds in Nandyal, a city in Kurnool district of Andhra Pradesh. 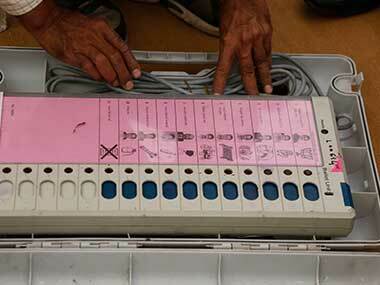 The Nandyal Assembly constituency will hold by-elections on 23 August after TDP MLA Bhuma Nagi Reddy's death left the seat vacant. 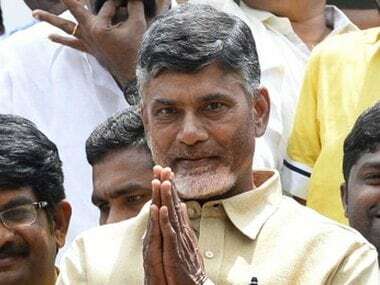 Both the ruling TDP and main opposition party YSR Congress have made the by-elections a prestige issue, as the by-poll will be seen as a referendum on three years of the Andhra chief minister's rule. The YSR Congress leader continued stressing the importance of the upcoming by-election, stating that it was a "war between right and wrong". Reddy urged the crowd to give a significant mandate to the party and to "exact revenge" on Naidu for not fulfilling his campaign promises. "A jittery TDP is now showering sops after sops on Nandyal, but the poll will be people's verdict against the misrule and corruption of Chandrababu Naidu," he added. "The chief minister had blatantly engineered defections and had taken away 21 of our MLAs shamelessly. He back-stabbed NT Rama Rao and then started using his photo in every election. This by-election should teach him a lesson for his nefarious deeds,” Reddy also said at the event. The YSR Congress leader also made reference to how the Andhra Pradesh Assembly Speaker is doing nothing about the defections of 21 YSR Congress legislators, which should ideally attract provisions of the anti-defection law. The Hindustan Times report adds that Reddy also accused Naidu of offering posts and bribes to the leaders who defected. Reddy also said that Naidu amassed over Rs 3.5 lakh crore through land pooling scams in Amaravati and illegal sand mining. YSR Congress MLA Roja defended Reddy's comments, saying that what Reddy was trying to convey was that Naidu had to be accountable to the public. According to New Indian Express, she said, "The TDP has ignored all the other things that he said and is continuously pointing fingers only at that one statement. He said that people (like Naidu) who played with people's lives and destroyed the state, should be shot on the road. However, he did not say that he himself will shoot or kill Naidu." She then went on to say, "Will Chandrababu Naidu put a case on Ram, for killing Raavan?"